Cartridges are perfect for those seeking a discreet, convenient, and exciting new way to enjoy cannabis. Here's what you need to know about the different types of cartridges and why they're worth trying out, no matter if you're a seasoned stoner or novice toker. Cannabis can relieve us from pressure, ease our boredom, and make our lives more colourful. And there are so many different ways to ingest it, with cannabis cartridges becoming one of the most popular methods. The main reason behind this is the convenience factor. Cartridges are easier to use and carry compared to the actual cannabis flower. It’s all about being discreet and far from the prying eyes of paranoid authorities. Cannabis cartridges are loaded with concentrate. They don't give off any strong scent, and you don't even need to grind or pack them up. Pipes even become unnecessary because you just need to carry a pre-filled cartridge attached to a 510-thread battery. But how to use it? Well, just press the button and inhale through the mouthpiece. 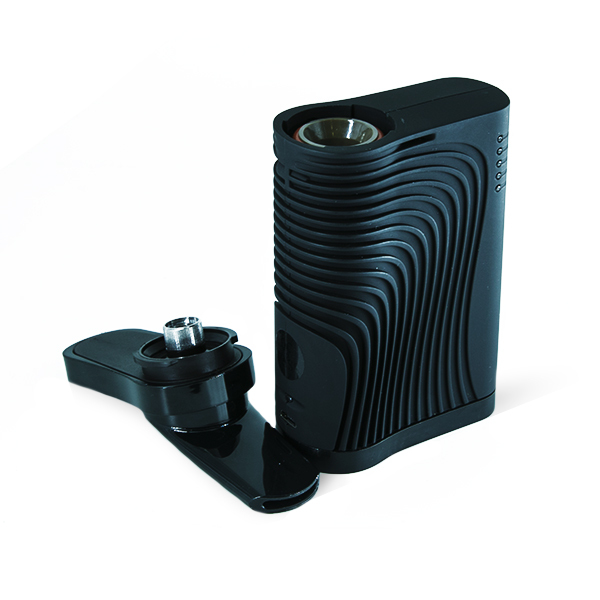 It then automatically heats up the cartridge, allowing you to vape instantly. In fact, using cannabis cartridges is a growing trend not only among novices but seasoned stoners as well. It's also among the cannabis industry's fastest growing segment. There are even reports saying that the number of cannabis cartridges sold has surpassed flowers in some areas. Because of this, a number of companies have created their own cartridge-related products such as additives, flavourings, and cutting agents. However, along with this boom comes the risk of imitation, which is why it would be wise to purchase a product that is lab-tested and well-reviewed. Some might think that they have mastered the art of ninja smoking. Lighting it up inside your cupped hands or smoking it under the cover of darkness might work for a while, but the flame and the scent of the smoke will eventually get the attention of passersby. That’s not a problem when you’re using cartridges because of their low-profile nature. If you’re tired of your usual strains, then what you need is a cannabis cartridge. There are a number of new varieties to try. It’s a wide world out there and you’ve got the freedom to choose, depending on your flavour-of-the-day and the state of legalization in your jurisdiction. Cartridges come in a variety of strains; and don’t worry if you’re new to it, they often come with user-friendly colour codes and markings. You might have been through this situation before where you get a huge whiff of your flower as soon as you open the bag. But that scent eventually degrades over time. For sure, no one wants to inhale a dried-out nug because that's as good as smoking nothing. To make things worse, you're not just losing the scent, but the taste and potency as well. But then again, that’s not a problem with cartridges because these have concentrated fillings that are able to maintain flavour and potency for a much longer time. You also don’t lose valuable cannabis like when smoking buds that carbonise and crumble as you light up. We all have to spend on something, right? Whether you’re buying a new pipe or a dab rig, it’s a given that you’re going to send some cash flying. However, you don’t need to spend much with cannabis cartridges and they contain a potent concentrate that lasts users longer than normal flower. Plus, reusable batteries can be purchased from around $10 to $20 dollars at most. Regardless of which type of cartridge design you opt for, what’s most critical is that you source products with a high-quality lab-tested concentrate. Even if your cartridge looks cool, it’s not going to feel cool if the oil is bunk. Plastic wick cartridges are some of the most affordable options on the market. Comprised of a plastic tank and wick system, these devices are best suited for concentrates with a lower viscosity. This is because the wick is not able to handle the thicker oils that some other products contain. As a result, these cartridges are often not of the highest quality, and the lower-garde materials are known to impact the flavour of the vapour and overall ease of use. If you’re looking to try out a cartridge for the first time, these might be a good way to get your feet wet and experiment. Pax Pods are next-gen cannabis cartridges, if only for rejecting the classic tubular design. However, they are still made of plastic and metal—the same as other standard cartridges. The atomiser, which is usually made from metal, is responsible for preserving more flavour. These cartridges work with the Pax app to control temperature—something the brand has become known for. Those interested in innovative cartridges with a little swag may get a kick out of Pax Pods. Then there are the glass and metal cartridges that are considered the premium standard for cartridge designs. Unlike wick systems, these feature an atomiser made from varying materials. Unsurprisingly, these products are more expensive, but often more effective and cost-friendly in the long run. Another benefit of these cartridges is that they can handle varying viscosities of oil. You also don't have to worry about heating it up too much because glass and metal cartridges don't melt. The higher quality of materials results in a more developed and untainted flavour, although not all grades of metal are the same. It’s still important to compare products for value and performance. Again, what’s most important is that the oil contained within is of a high-quality.